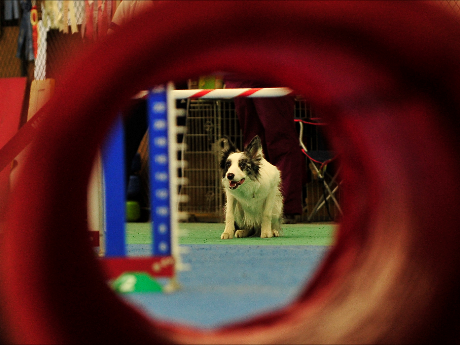 If your dog enjoys running, dodging, and sporty athletics, Dog Agility may be the perfect activity for you and your dog. 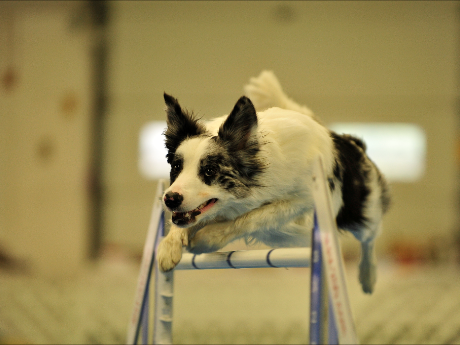 Agility is one of the fastest growing interactive dog sports in which a handler directs a dog through an obstacle course in a race for both time and accuracy. 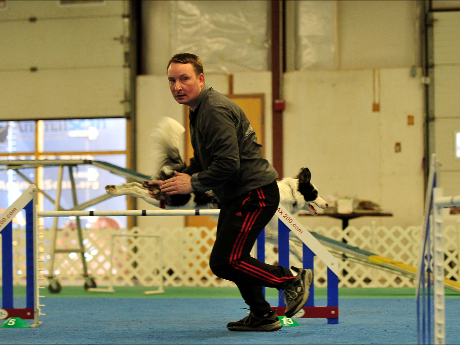 Agility builds the dog-handler bond and confidence as the dog will run off-leash with no food or toys as incentives, and the handler can touch neither dog nor obstacles. Andy offers outdoor private agility lessons (weather permitting) and indoor basic skills training.